The Droid1 Charge by Samsung delivers exactly what you'd expect from the collision of Droid power and Verizon 4G LTE network speeds. 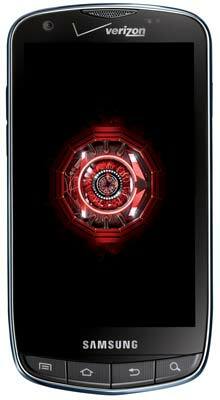 It runs a fast 1GHz Hummingbird processor and boasts a 4.3" Super AMOLED Plus screen--it's the fastest and most powerful Droid ever created, and the first Droid built for Verizon's 4G LTE network. And the Android 2.2 OS allows you to experience the full Internet thanks to its support for Adobe Flash 10.2, enabling you to play games, watch videos, and more. The Verizon Wireless 4G LTE Mobile Broadband network provides speeds up to 10 times faster than Verizon Wireless' 3G network. With 4G LTE, you'll enjoy simultaneous voice and data capabilities, allowing you to check e-mail, browse the web, download an app, and check directions on Google Maps while on a call. Verizon Wireless' 4G LTE Mobile Broadband network currently reaches one-third of all Americans, with plans to expand the network to the company's entire 3G coverage area over the next three years. Other features include 2 GB internal memory, pre-loaded 32 GB microSD memory card, Wireless-N Wi-Fi networking with Mobile Hotspot capabilities for up to 10 devices, Bluetooth for hands-free devices and stereo music streaming, compatibility with Verizon services such as V-Cast and VZ Navigator, and AllShare with DLNA certification for wireless media streaming to other devices. The Droid Charge runs the Android operating system--OS 2.2 (aka, Froyo)--which provides a faster overall Android experience as well as greater multitasking capabilities. You'll be able to receive notifications, listen to music, and even record GPS data without keeping the application open. And it features a plethora of new enhancements, including an improved onscreen QWERTY keyboard, full push corporate e-mail, and support for Adobe Flash Player 10.2 for access to the full Web. It also offers enhanced Exchange support, with Calendar syncing, Global Address Lookup, improved security, auto-discovery, and more. With integrated Google technology, the Droid Charge 4G brings one-touch access to the popular Google mobile services millions use every day, including Google Search by voice, Google Maps with Street View, GTalk instant messaging (with presence capabilities), YouTube, and Picasa. The Droid Charge also provides easy access to both personal and corporate e-mail, calendars, and contacts supported by Exchange Server and Gmail. And through Android Market, you'll get access to thousands of useful applications, widgets, and fun games to download and install on your phone, with many more apps being added every day. 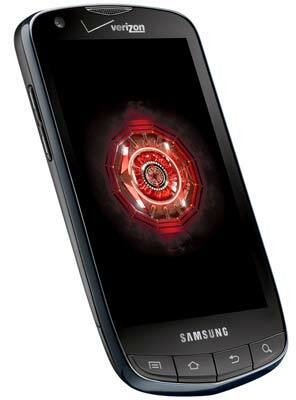 The Droid Charge by Samsung weighs 5.04 ounces and measures 5.11 x 2.66 x .46 inches. It runs on Verizon's 4G LTE network as well as the CDMA 800/1900 frequencies. Blockbuster Mobile Application for downloading full-length movies the same day they are available on DVD. Social networking apps like Facebook, MySpace, Twitter, Windows Live, AIM, and Yahoo!